A Fortune 500 company desired to accelerate its rate of continuous improvement to improve its financial performance and enhance the customer experience. eMRI was asked by a senior executive to work with the organization’s continuous improvement team to design and implement an initiative to complement existing efforts and to accelerate the rate of process improvement. The client and eMRI jointly developed a detailed multi-year plan for Lean Six Sigma based on the framework provided in eMRI’s book “Successfully Implementing Lean Six Sigma: The Lean Six Sigma Deployment Roadmap”. The plan was designed to ensure not only a successful launch but long-term sustainment. It was also designed to ensure it would fit both the organizational culture and strategic needs. eMRI was also contracted to conduct the training on a global basis and provide project support in several regions around the world. 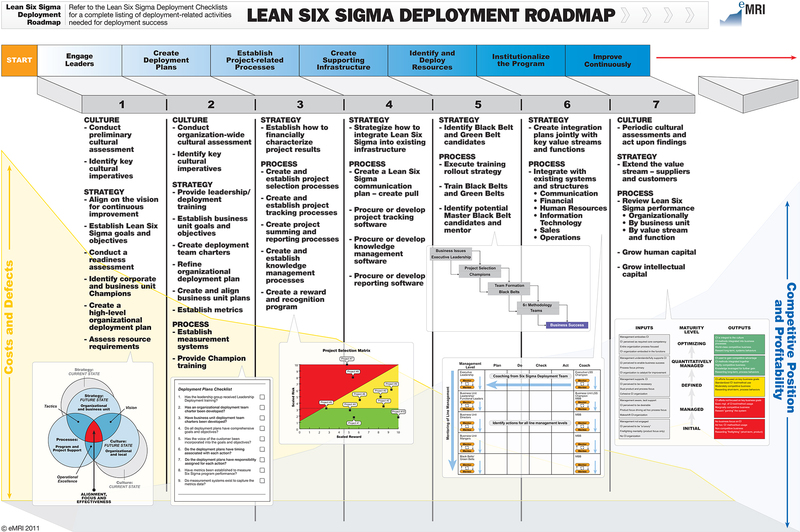 Five years later, the Lean Six Sigma initiative has generated many tens of millions in cost savings, significant top-line revenue increases and measurably enhanced customer satisfaction and loyalty among other benefits. Lean Six Sigma projects and, more importantly, Lean Six Sigma thinking has become part of the organizational culture, ensuring long-term sustainment and continued success. Many tens of millions in cost savings within five years.